If you read the text in this illusion you will see the words appear to move in the same direction as mentioned in the image. 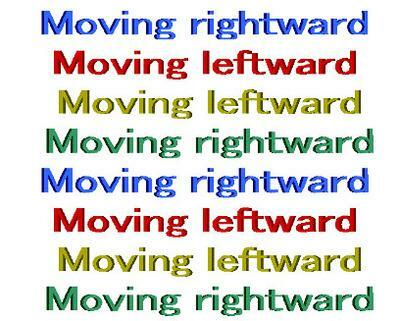 Moving rightward appears to move rightward while Moving leftward appears to move leftward. Image Credit: This image is believed to be in the public domain. I agree too. It doesn't even work for me.